See Final Phase column below for the latest updates on the New Masjid construction project. Please find the latest photos here. We have spent $4,699,655 as of April 23, 2019, towards property acquisitions, expansion, renovations, repairs, construction of the Parking Lot, commissioning the Architectural Plan, and construction of the new Masjid building. Please watch the following video which depicts inside views of the new Masjid as of January, 13, 2019. This phase of the project started many years ago. We acquired new land, prepared the site, built a beautiful parking space with hundreds of asphalted lots, constructed the sewage system, applied for and secured all the necessary permits, commissioned the architectural plan, and put together one of the finest engineering teams. This phase was completed at a cost of almost $1.5MM. We reached our goal of raising $380,000 to start the ground breaking process by Feb of 2015. The ground-breaking ceremony was held on February 22, 2015. Construction of the New Building commenced in the Spring. Subsequently, we held a number of small and large fundraisers, raised more funds and received many pledges. The basement and foundational walls were built. The steel structure has been erected. Plumbing and HVAC work has been completed, sheetrocks and windows have been installed. Over $1.78MM has been spent during this phase leading to November 28, 2017. Wudu seat structure installation is in progress - brick for seat completed – Tile covering completed. Interior painting is mostly completed. Ga. Power has connected building power cable to the transformer – electric meter installed and inspected. Lights installation is mostly completed. Fans installed. Tower deck and roof in progress – tower completed with crown and tower roof install in progress. Elevator – requested schedule to start installation. Audio/Visual contractor initial rough wiring completed – final in-wall j-box for fixtures and appliance installation completed – waiting for wall and ceiling closure. Fire Alarm contractor – Cornerstone Control Systems have been contracted- work started - inspected and remaining work will be done after wall and ceiling closure. Sprinkler – final test and provide report for fire Marshall. Security Alarm – wiring completed – waiting for wall and ceiling closure. Gas Company gas lines installed on the property waiting for the meter – installed. We have put together some of the most talented engineers and subject matter experts to build the new Masjid. Meet them individually below. Principal, Matrix Engineering Group, Inc.
Mr. Tomeh is a principal and co-founder of Matrix Engineering Group, an award-winning consultancy group specializing in geotechnical engineering, environmental engineering, construction materials testing, special inspections and geophysical surveys. He is a registered Professional Engineer, a certified Project Management Professional, and a GSWCC Level II Design Professional. Mr. Tomeh has pioneered several systems and work flow processes as it relates to ICC Special Inspections and Construction Materials Testing; and has innovated the use of Geophysics (Refraction & MASW) to non-invasively enhance and supplement the traditional Geotechnical characterization of sites and important structures. Mr. Tomeh is an adjunct professor at Southern Polytechnic State University Department of Construction Management in addition to serving on the Commercial Construction Management Advisory Board at Gwinnett Technical College. He is a voting member in ASTM Committee D18 and is a member of the American Concrete Institute. 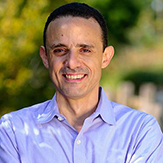 Mr. Tomeh earned his Bachelor of Science Degree in Civil Engineering from the University of Pittsburgh and his Master of Science degree in Civil Engineering from the Georgia Institute of Technology. He was accepted, earlier this year, into the Academy of Geo-Professionals (AGP), as a Diplomate, Geotechnical Engineering (D.GE). Considered one of the highest designations in the Geo-Profession, only a little Over 300 engineers have achieved the D.GE status. 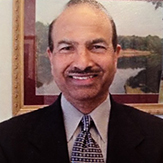 Mr. Zaman is a civil engineer licensed in 5 states with 30 years of professional experience. He specializes in highway, mass transit, and airport design. Mr. Zaman received his B.S. in Civil Engineering from New Mexico State University and completed graduate studies at Georgia Institute of Technology in 1984. He started his professional career in 1970 with Deleuw Cather and Company in New York. He came to Atlanta in 1974. He has worked for a number of prominent engineering companies in Atlanta including Parsons, Brinckerhoff-Tudor-Bechtel; Ewell W. Finley and Partners; Riley, Park Hayden Associates, Moreland Altobelli Associates; Wilbur Smith Associates, and Matrix Engineering Group. Mr. Zaman has a long list of accomplishments. Ewell W. Finley & Partners was part of the joint ventures known as Atlanta Airport Engineers. 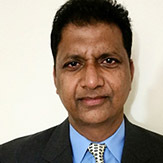 Mr. Zaman was responsible for the design and construction coordination of taxiways, segment of runway, terminal roadways, non-incensed vehicle roads, fire station access roads, 15,000 vehicle parking facilities, curb side parking, long term parking, taxi bullpen, rental car parking and sanitary sewer pumping stations. EWF received the engineering excellence award from the American Consulting Engineers Council. Mr. Zaman has managed projects for Logan International Airport, Memphis International Airport, Robins Air Force Base, and Cleveland Hopkins International Airport. He has also managed a number of highway projects including I-75, I-85, I36, US41, SR 54, SR 141, i20, SR 34, SR225, S.W. Rome bypass, I10, US49, Airport Rd at St. Simons Island, and McGennis Ferry at Douglas, etc. Mr. Zaman the Chief Civil Engineer for the design and coordination for the 1996 Olympic Stadium. Principal, Blackwater Const. Group, LLC. Blackwater Construction Group is located in Duluth, Georgia. Blackwater specializes in Design and Build of Shopping Centers, Gas Stations, Offices and Religious Facilities. Mr. Imran Niazi, owner, has been a contractor for over 15 years. He opened his own construction business in 2000, and holds the General Contractor License in the state of Georgia. Blackwater Construction Group is a general Contracting and Construction Management firm that offers clients exceptional service. Blackwater has built several gas stations, Masjid Omar Bin Abdul Aziz in Lilburn, GA. , and many commercial projects around the Metro Atlanta area. Prior to that, Blackwater worked with FEMA and the Army Corps of Engineers during the hurricane seasons as a sub-contractor to help rebuild post hurricanes Ivan, Katrina, Dennis and Wilma disasters from 2003 to 2007. Blackwater offers both commercial and residential construction but specializes in commercial gas stations and convenience stores. Blackwater Construction is a minority owned business and takes great pride in hiring local sub-contractors and using local suppliers, boosting the local economy. Blackwater Construction Group is the general contract for the New Masjid Al-Momineen project. 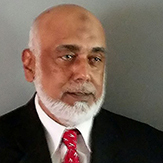 Some of the current projects underway include: Masjid Al-Momineen, Clarkston, GA - Masjid Al-Hedaya, Marietta, GA - BP Gas Station and Retail Center, Suwanee, GA and Custom Home in Suwanee, GA.
Born and raised in Fiji Islands and migrated to Atlanta in 1976, Mr. Ali completed his BS degree in medical electronic/computer technology. He also obtained a diploma from Washington University in Project management and training through NCR Corporation in product development, quality control, and six-sigma methodology. Mr. Ali joined NCR Corporation, a fortune 500 company in 1979 and developed various skills from this multi-billion corporation. He worked for NCR in various aspect of business for over 25 years. Mr. Ali managed real estate portfolios for professional athletes where his responsibilities included acquiring and liquidating residential and commercial properties for profit. Mr. Ali converted over 1400 apartment units into condominiums for large profits, and built subdivision and commercial properties for them. Mr. Ali's experience with real estate development and construction for the past several years has qualified him to represent Masjid Al Momineen's interest in monitoring quality of construction, workmanship, usage of quality materials & sub-contractors' performance in the Masjid construction project. Mr. Ali was asked to join the team to project manage and monitor entire construction of Masjid Abu Bakr on Briarwood Road in Brookhaven. This 3000sf Masjid was completed in 4 months within budget. Additionally, Mr. Ali worked with the board of Greenview Madani Center in Gwinnett County, GA, to obtain the permit to convert two residential properties into a school and Masjid in 2009. Mr. Ali is still involved in expansion of this Masjid currently due to demand for more space. Mr. Ali has also worked with several Masjids in the area to provide regulatory advice and help including the Georgia Islamic Institute.